Your pictures are very beautiful! I wish I could understand Hindi, but unfortunately, all I could do was look at your photographs. Where is this beautiful place? Interesting architecture. I would love to get there with my camera. Beautiful shots! I wish i have the time and enough travel time now to explore the place! I love how on the notice board for the monument, the ”hours of operation” are from sunrise to sunset and not specific hours. Kind of poetic, I love it ! Wow, I love all your lovely photos and you have given justice to this beautiful place. It would be great If I can understand Hindi. Nevertheless, I love all your stunning photos. Thank you so much for sharing this with us. What beautiful pictures! You’ve really captured the ancient history here. I would love to go and see these temples myself. I will actually be in Rajasthan this winter so maybe I will! Ghost or no ghost, its too deserted for me. 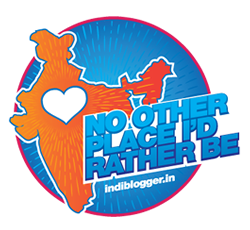 We debated about a trip to Bhangarh a couple of years back, but decided against it. I wonder what the real reason is for all these tales. Now my feet are itching to visit Bhangarh. Hope I’ll get to go here on my next visit to Delhi or Rajasthan! All your pictures speak for itself how beautiful Bhangarh is! That architecture is just beautiful!